What is dental sealant? How does it work? A dental sealant is a kind of dental treatment given to a patient to prevent tooth decay. It is also known as pit sealants and fissure sealants. A dental sealant is a thin layer of plastic coat that is applied in the fissures and pits of the teeth especially back teeth to protect it from tooth decay. The dental sealants fill the depressions of the tooth and protect the enamel of the teeth against the harmful effects of plaque and tartar. Regular brushing and flossing and rinsing of the mouth with antibacterial mouthwashes can keep the teeth strong and healthy. But sometimes food gets stuck in the fissures and corners of the back teeth which are very difficult to clean. Plaque is a very thin film of bacteria that deposits on the teeth, and when it hardens, it turns to tartar. Plaque, tartar along with fragments of leftover food gives rise to tooth decay and also weakens the tooth. Some people cannot clean the back teeth properly. To solve this problem, the dentists suggests the use of dental sealants as it acts as a protective barrier between the teeth and plaque. Dentists usually prescribe dental sealants to children and teens as they are less careful in cleaning their teeth. A dental sealant is applied to their teeth as soon as the adult molars appear. It is recommended to people who are prone to tooth decay. It is recommended to people who have enamel problems like enamel hypoplasia. Doctors recommend sealants to patients who have deep pits and fissures in their teeth which becomes a hiding place for leftover food and plaque, making them prone to dental caries. Sometimes children are given the treatment of dental sealants before they get their orthodontic treatment or braces. As keeping the teeth clean after wearing braces can be difficult for children and teens. Sometimes doctors suggest the treatment of dental sealants when there are early signs of tooth decay. It is suggested to patients who have already had a dental filling so that they do not get dental caries again. What are the materials used in dental sealants? There are three types of dental sealants. Resin sealants, Glass ionomer sealants, and sealants which are a hybrid of the two. Resin-based sealants are set with either chemical or visible light. Glass Ionomer sealants bond with the dentin and enamel and are more successful in stopping dental caries. How is dental sealant applied? The dentist first cleans the teeth with an electronic brush and paste. This paste is then appropriately rinsed with water, and the tooth is dried. Then an acidic solution or gel is applied to the tooth and left for a few seconds before it’s washed off. This solution creates rough microscopic patches on the tooth which helps in better bonding of the dental sealants. Finally, the tooth is dried again, and a liquid dental sealant is applied on the tooth and hardened with the help of blue light, or the dental sealant is solidified with the help of a chemical that sets on its own without the light. Once the dental sealant hardens, it turns to plastic varnish which does not hinder chewing. How do dental sealants look? Dental sealants are transparent or clear. 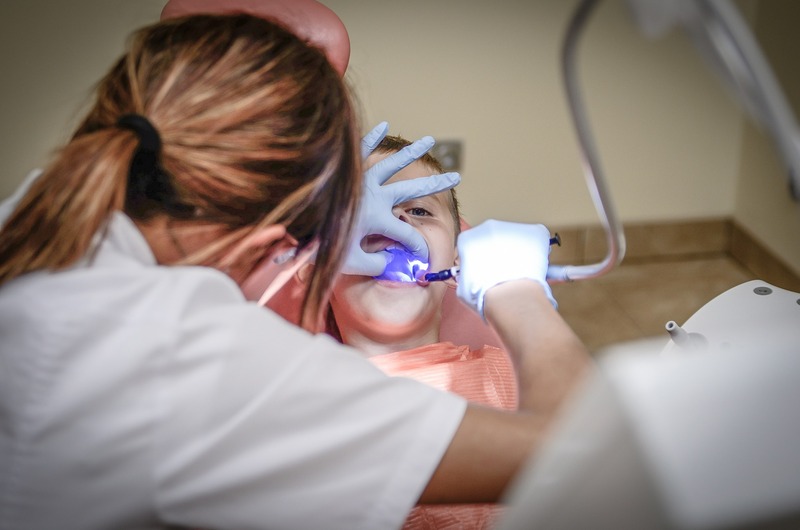 Even after the application of dental sealants the dentist can still monitor the condition of the tooth and check if the dental sealant is protecting the tooth from further decay. Under normal circumstances, dental sealants can last more than five years. Patients do not have to take the pains of removing them at the dentist’s office. It wears off on its own with time, and it is up to the patient to decide if he wants to get them again. People who have the habit of grinding their teeth or open hard bottle caps with their teeth or who have the habit of opening plastic wrappers with their teeth may damage their dental sealant before time. Dental sealants are considered quite safe. It may harm a person only if he is allergic to the chemicals used in it. Many people worry that it contains bisphenol A or BPA. But the amount of BPA present in it is too small and does not harm the patient. In fact, more amount of BPA is present in cosmetics. According to Dr. George Smith, a Plano Dentist, a dental sealant is one of the best treatments for preventive dentistry. It not only gives hopes to anxious parents whose children do not clean their teeth properly but also helps adults who want to protect their teeth after experiencing early signs of tooth decay.